Above: This computer graphic simulation of the electron clouds in a layer of copper oxide in a superconductor shows how the density of electrons is different north and east of the copper atoms (marked by blue dots), a condition discovered using a scanning tunneling microscope in the low-vibration, low-temperature lab of physicist Séamus Davis (left), one of three such microscope labs he has at Cornell (the third is being completed in the new Physical Sciences Building). This discovery may lead to a better understanding of high-temperature superconductors that could revolutionize electric power generation and transmission. Right: One of the controls that form parts of the cooling assembly for the lab. It took a confluence of factors to bring physicist J.C. Séamus Davis, his family and his potentially world-changing research to Cornell: a welcoming academic environment, a good community for raising kids, generous financial support and a lot of great Irish music. Davis had spent almost two decades at the University of California-Berkeley, working up from graduate student to professor of physics. His wife, Kathy Selby, was a physicist at the University of California-San Francisco. "As young adults living in San Francisco we had a fantastic time," Davis recalls. Until they had two young sons. "My wife and I were both born and bred in the country [he in Ireland, she in England]," Davis explains, "and we had to think about bringing up boys in the city, whether that was the right environment." "You would think he's a lab rat and doesn't think of anything else," says Selby, "but in a choice between research and family, he'll put family first." Serendipitously, both fell together. 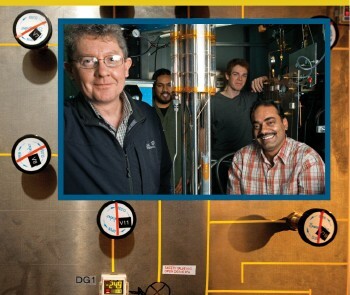 Cornell wanted Davis, who works in low-temperature physics and was already in professional contact with such Cornell researchers as David Lee (now at Texas A&M) and Robert Richardson, the Floyd R. Newman Professor of Physics emeritus, who shared in the Nobel Prize in physics for the discovery of the superfluid state of liquid helium at temperatures approaching absolute zero (-273.15 degrees Celsius, or -459.67 Fahrenheit). "They hired me as a helium physicist," Davis recalls, and he still does research on superfluid helium as well as on a new state of matter that might turn out to be what's called a "supersolid." 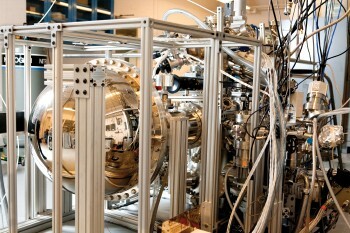 But his work on high-temperature superconductivity has drawn the most attention. Superconductivity was first discovered in metals cooled to within a few degrees of absolute zero, through which electricity would move with no resistance. Recently discovered copper oxides called cuprates and some compounds of iron and arsenic become superconductors at temperatures up to 135 degrees above absolute zero. The holy grail is to find materials that will superconduct at or near room temperature, which could revolutionize electric power generation and delivery. The attention that Davis' research is getting has enhanced the reputation of the Cornell physics department and brought in millions in government research funding, talented graduate students and, most notably, a wave of new, young faculty interested in related research. Their numbers, a judicious mix of newly minted Ph.D.s, young professors and established performers, are going to grow in all disciplines across the campus thanks to the university's historic $100 million fund to accelerate the hiring of new faculty over the next five years. Over the next decade they will be taking over from the more than half of current faculty members who are approaching retirement age. Davis, now the James Gilbert White Distinguished Professor in the Physical Sciences, is a leading example of Cornell's capacity to attract research stars. In recent years some of the nation's leading scientists have been attracted by the campus's commitment to excellence in diverse and collaborative research. There are professors like Serena DeBeer George, an assistant professor of chemistry who is developing new tools to understand biological and chemical catalysts; and Darrell Schlom, a professor of materials science and engineering who is leading collaborative research to create low-power, high-efficiency electronic memory and other new materials for microelectronics. The researchers have come to Ithaca from a diverse number of institutions, including Stanford University, Pennsylvania State University and the Massachusetts Institute of Technology. The secret of high-temperature superconductors seems to be the addition of impurities whose atoms distort the normally orderly crystal lattice of copper and iron compounds, rearranging the electrons around atoms in a way that allows some of them to move without resistance. As a young professor at U.C.-Berkeley, Davis had the idea that he could observe the electrons in these materials directly with a scanning tunneling microscope (STM). An STM uses a probe so small that its tip is a single atom, scanning across a surface in steps smaller than the width of an atom. With a voltage applied between tip and surface, electrons jump the gap to create a "tunneling current." By varying the voltage and measuring the tunneling current, Davis found he could determine how much energy it takes to pull an electron loose from an atom, and more importantly, he says, he showed how to visualize the arrangement of electrons around and between atoms. Building a machine that could do this would require cryogenic cooling and serious isolation from the outside world, with massive supports to insulate against vibration. Many scientists thought the idea was unlikely to pay off in proportion to its costs. Berkeley wasn't ready to finance it. 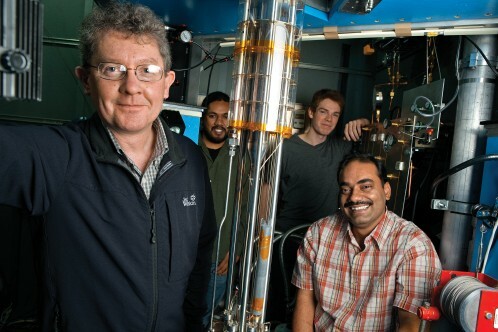 "His work is actually quite different from the classical physics we do here at Cornell," says Al Sievers, the Edward L. Nichols Professor of Physics, who was then director of the Laboratory of Atomic and Solid State Physics. "He had these ideas for a new kind of measurement, and they couldn't build the kind of facility he needed in Berkeley. We saw the opportunity that we could modify the basement of Clark Hall and put in his instrument." After "informal discussions" with Cornell colleauges, Davis and Selby came to Cornell in 2002 on sabbatical. They liked the small town and its good schools. "I had offers from many of the major physics departments in the country," Davis recalls. "My wife vetoed most of them. [At Cornell] we found a place that was one of the world's leading physics departments and was not in an urban environment." As a bonus, Ithaca also offered a vibrant local community of people playing Celtic music. Selby, a world-class Celtic fiddler, spent some of the initial sabbatical playing gigs and going to jam sessions. Cornell offered Davis a tenured professorship and a state-of-the-art laboratory. And it offered Selby a teaching opportunity as a lecturer in physics – an important part of the package that cemented the couple's decision to come to Ithaca. Setting up a new lab for a brand-new assistant professor in almost any experimental science can run to at least $1 million, Sievers notes. Setting up a tenured professor typically costs at least twice as much, and Davis probably pushed that well beyond the upper limit. But Davis brought with him an armload of federal research funding, and since then has brought in new grants totaling much more than Cornell's initial setup costs. He has also brought prestige. Since coming to Cornell, Davis has been awarded the Fritz London Memorial Prize, considered the highest award in the field of low-temperature physics, and the Heike Kamerlingh Onnes Prize for Superconductivity Experiments. In the spring of 2010 he was elected as one the youngest physicists in the National Academy of Sciences. Davis now has two STMs in the basement of Clark Hall, and is building a third in the new Physical Sciences Building that will operate in the highest magnetic field available on any STM in the world. The instruments in Clark Hall were built with "overkill" insulation to protect against vibration from construction of the Physical Sciences Building next door. Now that construction is finished, Davis says, the instruments will be about 10 times more sensitive. He shares some of his time with Brookhaven National Laboratory on Long Island, where he is director of the Center for Emergent Superconductivity, a Department of Energy-supported collaboration among scientists at Brookhaven, Argonne National Laboratory and the University of Illinois at Urbana-Champaign. His work has enhanced Cornell's reputation as a center for research in the overall field of "condensed matter" – loosely, anything that isn't a gas, or matter in which atoms have some sort of relationship with one another. And that has attracted young physicists interested in the field, who in turn further enhance the power of the research engine and attract even more new faculty. Cornell's growing reputation in the field also attracts "fabulous graduate students," says Davis. "Because this is kind of a Mecca for this style of research, you get people already prepared – intellectually prepared and morally prepared, because it's very difficult work." 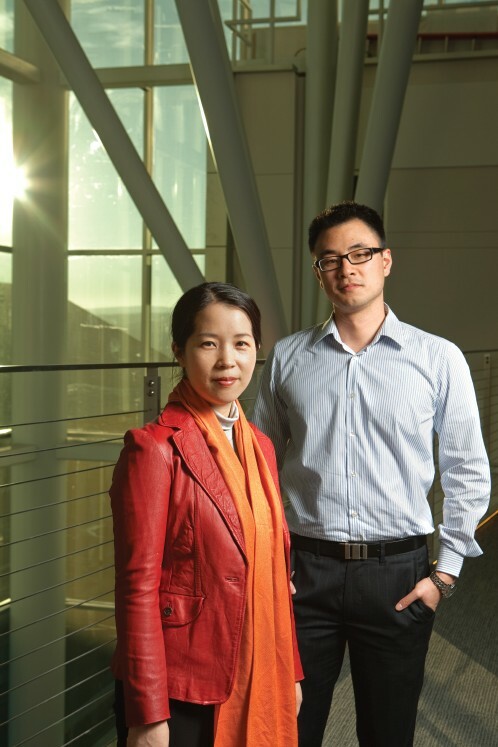 Among recent faculty hires are Kyle Shen, an experimentalist who studies the same complex materials as Davis with advanced X-ray diffraction and photo-emission spectrometry equipment, and Eun-Ah Kim, a theoretical physicist who tries to understand why these materials behave as they do and predict how their properties might be enhanced. Davis and Shen are collaborating with materials scientist Schlom, who uses a process called molecular beam epitaxy – what he calls "atomic spray painting" – to build materials that never have and perhaps never could exist in nature, atom by atom. 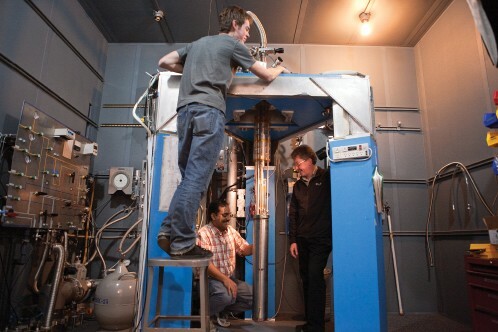 Schlom and Shen designed and built a machine that combines molecular beam epitaxy and photo-emission spectrometry to create new materials and study them while they still have an uncontaminated "pristine atomic surface." By bouncing radiation off that surface Shen can see how and where conduction electrons move through the material. "They definitely are the first people in the world to have such a machine," Davis reports. Kim was responsible for a recent breakthrough in superconductivity research, discovering a "broken symmetry" in the arrangement of electrons around oxygen atoms in cuprates, which opens another door to the design of better superconductors. But superconductivity may be only the tip of the iceberg at the frontier of condensed matter physics, Davis says. "There's a false perception that we understand all solids," he explains, "because the ones we use in our engineering are things like silicon and aluminum and gold that have been understood since the 1930s." Now researchers are able to make much more complex materials by combining many elements – but, Davis says, theory and experimental technique haven't kept up. "If we just knew what we were doing, even vaguely, we could probably invent whole families of new materials with useful and dramatically different properties," he says. 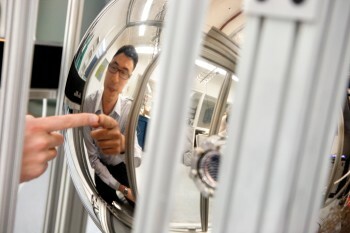 Shen, for example, is working on materials with unusual magnetic properties that could lead to faster, higher-capacity computer data storage. 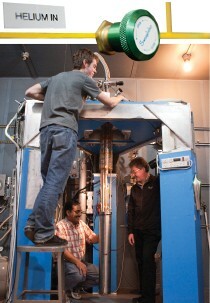 Davis collaborates with researchers in several other countries where there is often more government funding for basic research. "The traditional sources of research funding from the [U.S.] federal government for physical sciences have effectively been diminishing for 20 years," he says. "It's absolutely critical that the funding private universities can get be preserved and amplified, because it plays a critical role in how frontier science works." 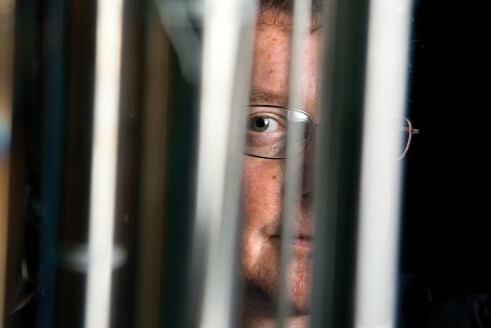 But his pleasure in being at Cornell is not just the search for practical applications and the advancement of knowledge. "Of course the thing the university really produces is people," he says. "All this investment isn't just going into bricks and mortar; it's going into training these young people and then they go off and pursue their own ambitious careers of discovery and contribution to society."